It is doubtful whether this Scottish Government can be trusted with the teaching of Scottish Studies when they are so fond of twisting the facts to suit themselves. Alex Salmond told us all that the recent elections were not about independence. Yet as soon as the results were in, El Presidente claimed the Scottish electorate was behind him on the road to independence. He has a majority of seats, but he does not have a majority of votes. Then there is the endlessly repeated mantra that our Scottish Parliament has been “reconvened”. Why? On the spurious grounds that when the Scottish Parliament of 1707 met for the last time it stood adjourned. We have had over three hundred years to get used to the combined Parliament and play our part in reforming the franchise. Both Holyrood and Westminster would be unrecognisable to the tiny band of rich men of 1707 who stood for political parties so long forgotten only historians of the period can even name them. This is not a question of whether, but how our history is taught. I was taught that James Watt invented the steam engine as a result of watching a kettle boil. The true story of this man’s crucial contribution to Britain’s industrial development is not only much more interesting, it teaches pupils that such great strides forward do not, usually, arise from some mysterious lightbulb switched on in someone’s head. Then there’s Bruce, our national hero. Will our pupils get history, or hagiography? We may complain of our rulers today, but they do draw the line at murder of a rival in a church. Who is to teach Scottish Studies? A decent education system requires that secondary teachers have passed appropriate courses in their degree. An economic historian may not necessarily have much knowledge of Scottish literature. And you can have immersed yourself in Robert Burns and not have a clue about Robert Owen. Why not, instead, simply mainstream, and let pupils benefit from depth of knowledge in each relevant subject? It is simply not appropriate for a government minister to chair a body that will decide curricular matters, even if he has experience as a teacher. That is when we risk politicising of what is taught. A little more modesty, and a lot less diktat, would be welcome. 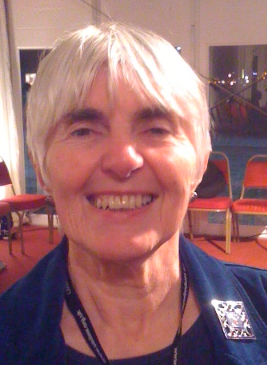 Maria Fyfe was MP for Glasgow Maryhill from 1987 to 2001 and is a former teacher of economic history. That is quite simply untrue. What he did say was that the electorate had indicated a clear wish to have a referendum on the issue-a wish which had been expressed in every opinion poll (even by those planning to vote “no”) but a wish which Labour with the other 2 unionist parties had been determined to thwart. If you are looking for a complete turnaround after the election, how about the one performed by Labour (& others) in moving from utter opposition to a referendum to demanding one immediately. The article might have more credibility Maria if you were not quite so venemous regarding the reconvening of the Scottish Parliament. Man I’m confused as Ed Balls during the election told us all that a vote for the SNP was a vote independence (well he called it Seperatism). SO does that mean Ed was lying? I’d suggest to Maria Fyfe to go back and read Aileen Colleran’s excellent article on the same subject several weeks ago. The Labour Party should be supporting this – after all, it’s clear that Ed Milliband needs to brush up on his ‘Scottish Studies’ so that, next time, he might remember the name of the bookie’s choice to lead his party in Scotland! More seriously, in what other European country would a proposal to teach the history and culture of that country be received in this way? Arguments that this will lead to politicisation make their proponents sound like flat-earthers. Surely, if the Union is such a benefit, such a source of pride to Scots then this will come out in the teaching of Scottish Studies? To suggest that there is nothing in this of benefit to unionists, makes it sound as though there’s something in the teaching of Scottish history or culture that you’re afraid of. I think Maria will find there has been lots of excellent,deeply researched, Scottish history published in recent years. I cannot see why children at Scotlands schools dont have the same opportunities to learn their national history as children all over Europe have. I also think our southern neigbours would not agree with her contention that Westminster is a “combined” Parliament, they believing Westminster to be Englands historic and continuing Parliament. If these books are so interesting and deeply researched, I’m sure school children would gladly read them – in their own spare time! They don’t read Harry Potter during school hours, do they? I think Maria Fyfe has a selective memory. When Winnie Ewing opened proceedings in 1999 with the words “The Scottish Parliament, adjourned on 25th March 1707, is hereby reconvened” Labour MSPs were just as delighted as SNP MSPs. It was Donald Dewar who asked her to do it, after all. Labour MSPs were biting their lips, and they were right. If Labour had any interest in Scots learning their own history and culture, why did it take an SNP Government to bring about the introduction of Scottish Studies in our schools? For centuries, Scottish pupils were taught more about 1066 (and more lately 1966), the Tudors, the Princes in the Tower, Alfie’s cakes, Magna Carta, the Armada etc. etc. than about their own history. To use such an article to object to the use of ‘reconvening’ to describe the opening of the Scottish Parliament is just bizarre. Did Maria really think Labour would get away with a Year Zero approach – ‘here is a parliament, we gave it to you, there was never another one like it’. While it was intended to kill nationalism stone dead, the rebellious Scots have made Holyrood the focus of Scotland’s national aspirations. Maybe that is why Gordon Brown refused to set foot in the parliament he was supposed to be so proud of. If this is an example of Labour doing positive, I’d hate to see them go back to negative.